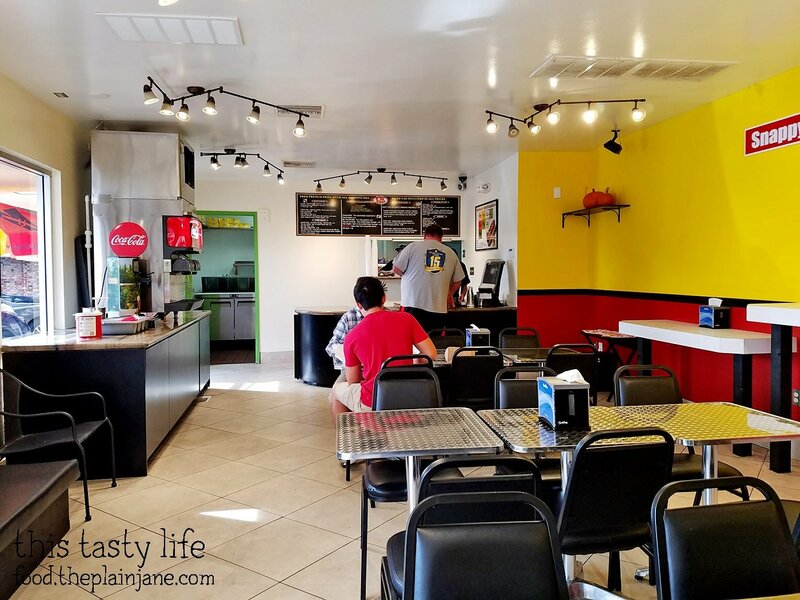 You might think that I’m going back and finishing up some more Chicago posts from last spring but oh no – this is a new joint right here in San Diego straight from Chicago! 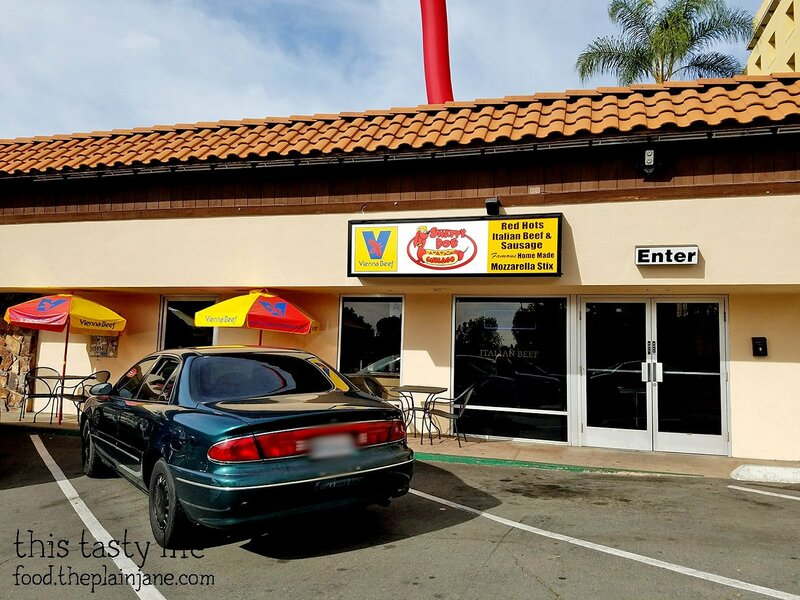 The spot is called Snappy Dog Chicago and it’s located in the old spot for Buddies Burgers near SDSU in the College Area. Jake got the tip about this new spot from a lady that works over at the Grocery Outlet in Allied Gardens. Cheers to her for the recommendation! This is in the plaza next to McDonald’s on Montezuma Road. We visited on a Sunday and parking was easy breezy. Helllllllooooooo yellow walls! I don’t remember what it looked like when it was Buddies but I’m thinking it was fairly similar decor. Nothing fancy. 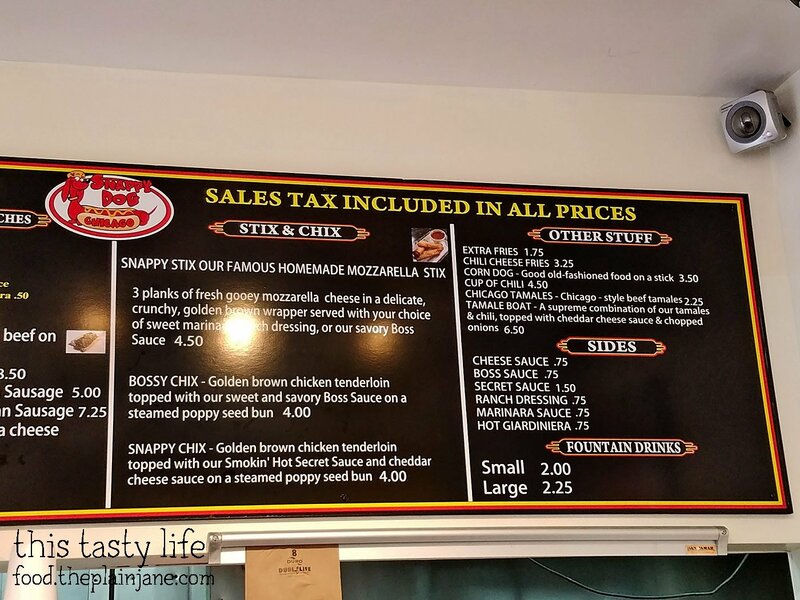 Here’s one side of the menu at Snappy Dog Chicago. The hot dog side! And here’s the “other stuff” side of Snappy Dog Chicago’s menu. Jake asked if the secret sauce was like “mild sauce” in Chicago and the gentlemen working told us the boss sauce was probably more like mild sauce. We didn’t try either one, actually, but we will have to in a future visit! The gentlemen (who I believe was the manager) also told us that they still have a location in Chicago – so this place is legit Chicago style food! 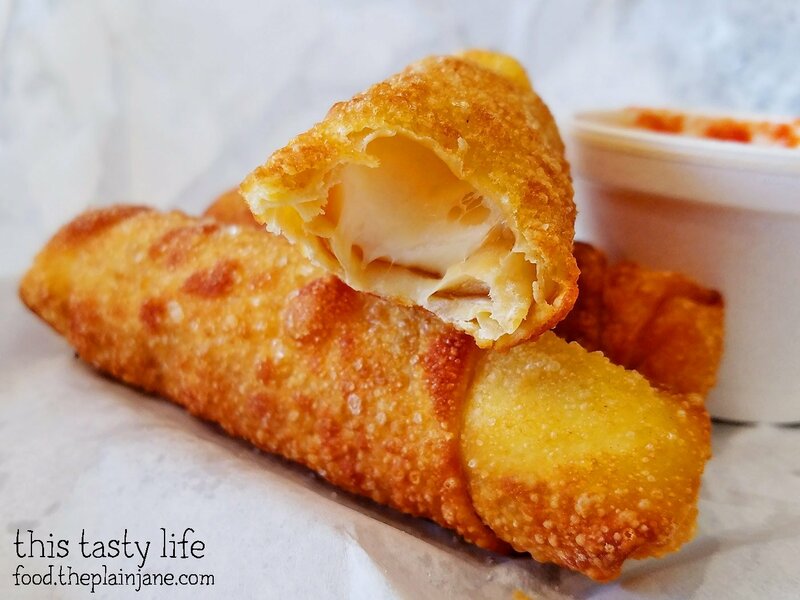 They make their own homemade mozzarella sticks at Snappy Dog Chicago and they’re a bit of a twist on the usual mozzarella sticks that you know and love. Of course we had to try them! You get three “stix” for $4.50. We had ours with a side of marinara sauce. The mozzarella stix are wrapped in a golden brown crunchy wrapper instead of a panko-looking breading. It’s kind of like an egg roll filled with gooey mozzarella cheese! My only wish is that I was hoping for the mozzarella to be a little more gooey and a bit hotter. I definitely liked seeing another take on traditional mozzarella sticks! Would eat again. I was excited to try the Italian Beef & Sausage combo [$7.25]. For the beef sandwiches, you have the choice of getting it “Dry” (easy beef juice), “Natural” (not wet, not dry), or “Wet” (sandwich dipped in beef juice). We got it “natural” and after awhile I wished we had gotten it dry because I dislike soggy bread. Soggy bread is the bane of my existence, you guys. Ugh. The Italian beef itself was good, but not as good as the one we had in Chicago. The Italian sausage on the other hand was AMAZING. Like OMG AMAZING. The flavor was on point – full of herbs and wonderful spices – and it was incredibly juicy and tender. The sausage was PERFECT. I would come back and get a sausage sandwich all by itself without the beef – it was so delicious! And I’ll have it with non-soggy bread, please. Thank you. Now I’m hungry for sausages again. Sigh. 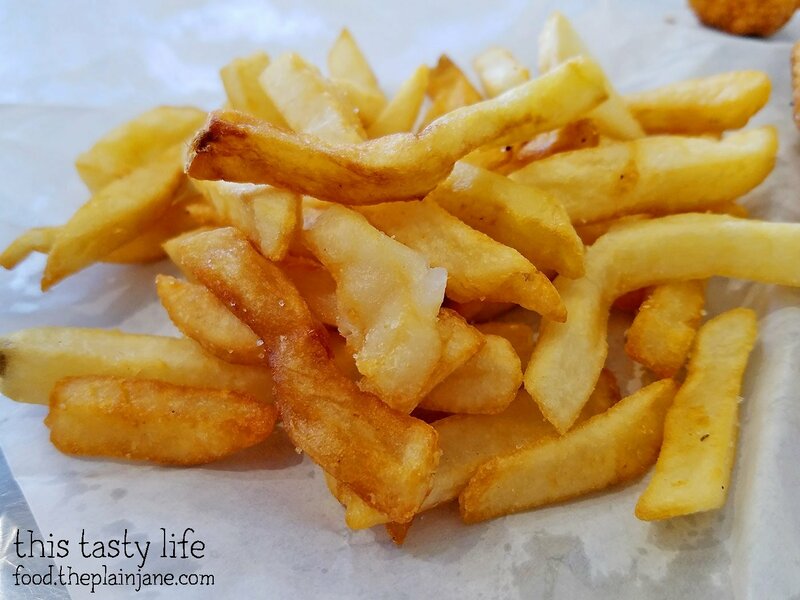 Every sandwich at Snappy Dog Chicago comes with an order of fresh french fries. These reminded me very much of the fries we had in Chicago. Quite tasty and freshly made – score! 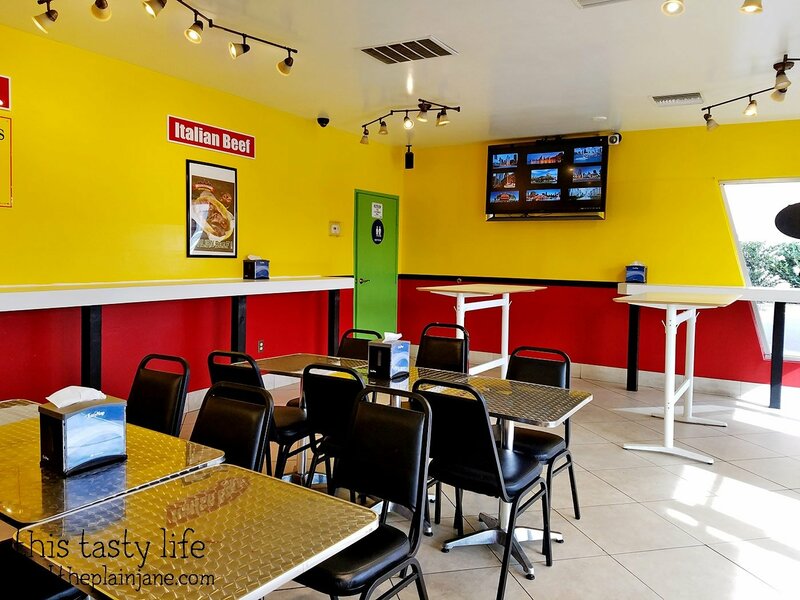 We will definitely be back to Snappy Dog just so I can get my Italian sausage fix again…. mmmmmm. I like how pricing includes both french fries and tax. 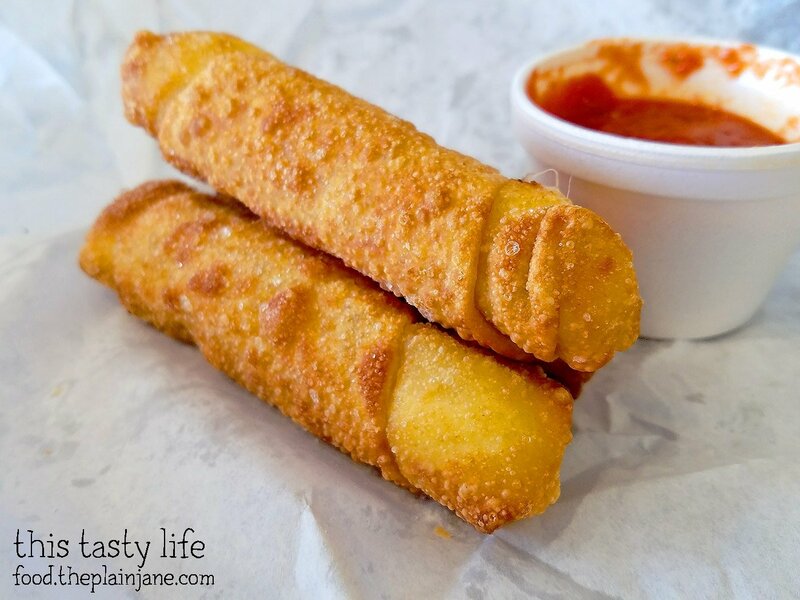 Those mozz sticks look amazing! Makes me want to recreate at home with egg roll wrapper, panko, and cheese sticks. Yesss, I love that the prices are inclusive. Makes it easier to order! Panko would be great on these! 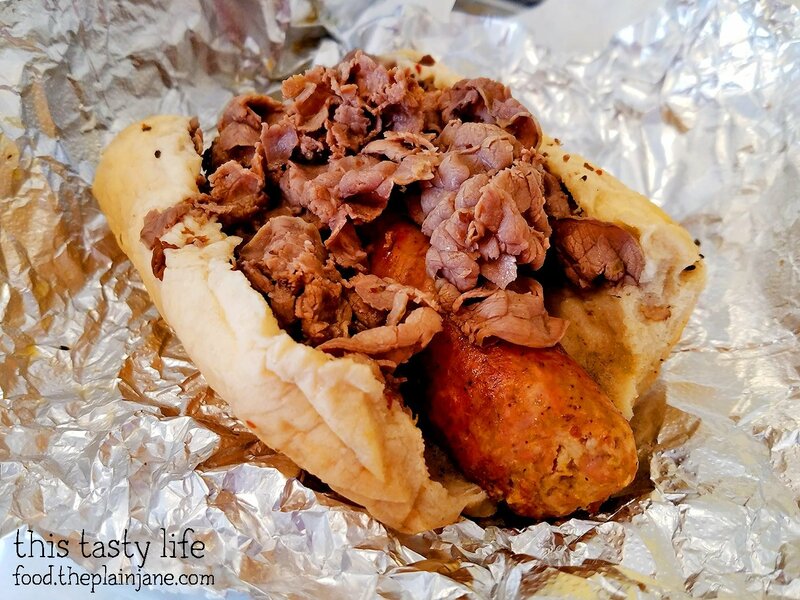 That Italian Beef & Sausage combo looks awesome! 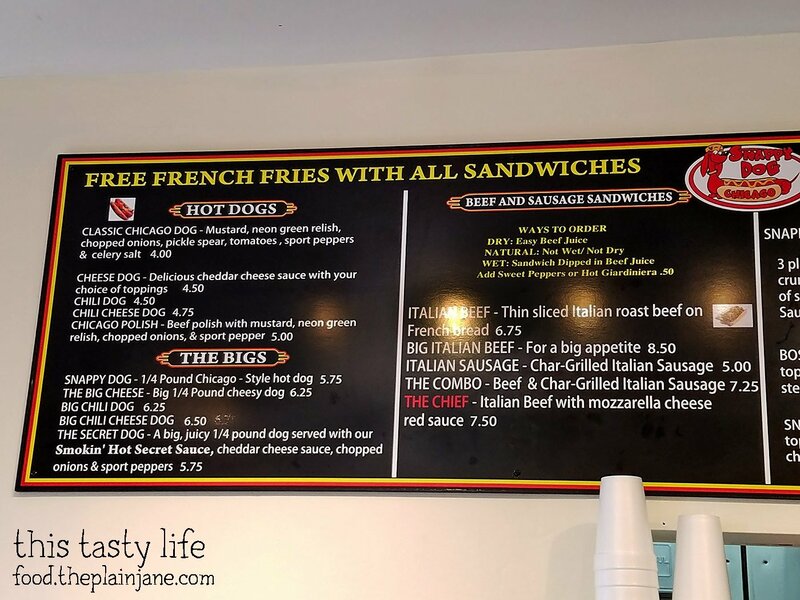 Hi Soo – it’s a great meatful sandwich! Hellz yeah, I want to try this Beef & Sausage combo. I remember that small strip mall next to McD’s when I was going to State eons ago. There used to be a frozen yogurt place I would hang out with my friends. With winter break coming up, I’ll have more time to explore places. Snappy Dog is now on my list! I’m with you on having the sandwich with non-soggy bread. I hate mushiness and mess, ha ha. Hi CC – This is definitely your kind of place! Chill, laid back, and yummy food. Yeah, you might want to try it “Dry” then, I didn’t like that my bread got soggy. I thought that was gross. But the rest of the flavors were awesome. Almost went again last weekend, but we had other plans. Soon! I need more sausages!